Thus, with unity and strength, the Kirant people of Shan Mokwan origin defeated their rulers. After their victory, the rebel leaders assembled once again at their holy place Ambe Pojoma. The leaders fixed the northern boundary to be in Tibet, the southern boundary in JalalGarh in Bihar, the eastern boundary at the river Teesta and the western boundary at the Dudhkoshi River. Later the boundaries of Limbuwan came to rest at the Arun river in the west and Kanchenjunga mountain and the Mechi river in the east. The meeting of rebel leaders decided to name the recently acquired country Limbuwan as it was won by the strength of a bow and arrow (Li = “bow”, ambu = “acquire” in the Limbu language). 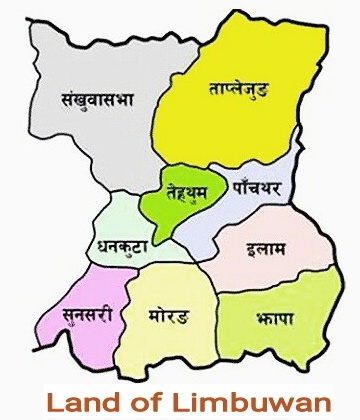 They also decided to divide Limbuwan into ten districts or kingdoms and place ten kings to rule each kingdom. They also agreed to defend Limbuwan from any external threat by rendering military assistance from all the ten kingdoms. They changed the name of their nationality to Yakthumba. Originally at the beginning only the kings of Limbuwan were called Limbus and the people of Limbuwan were called Yakhthungba, but over time the people of Limbuwan started calling themselves Limbu. Thus, the term Limbu and Yakthungba became synonymous. 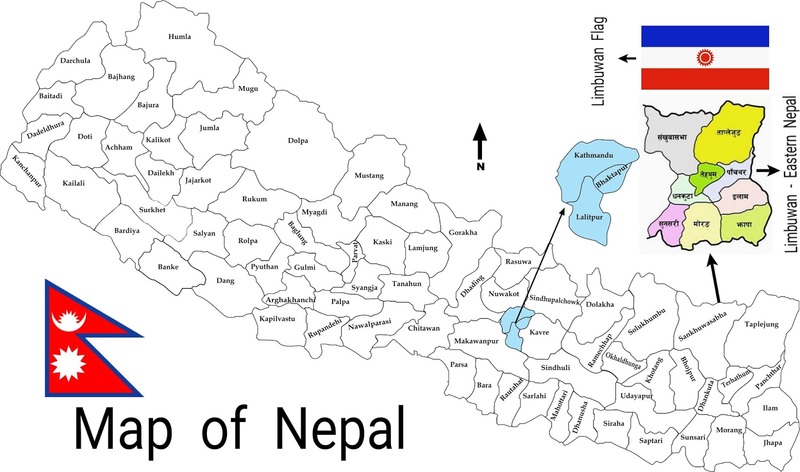 This period in Limbuwan history corresponds to the Lichhavi and Malla dynasty periods in the Nepal Valley.